NCIS.org This webpage will show you which butterfly matches to which plant (Florida) to help you build a nectaring and larval garden for your butterflies. Tropical Designs has a short but wonderful list of plants that are used by tropical buttterflies as larval food and nectar by adult butterflies. This list will help you get started on what plants you will need in your garden to attract butterflies and help them through their life cycle. Monarch and Queen butterflies use milkweed to lay their eggs. The caterpillars munch away on the plants, and go through several stages of development on the asclepias (milkweed) before making a chrysalis and turning into new butterflies. Supply your monarchs with this much needed plant so they can finish their development and help make a new crop of these lovely butterflies. These plants are grown without the use of any chemicals, and fed only Fish Emulsion, Natural Humic acid, domolmite (for calcium building) and Azomite (contains all micronutrients). Inexpensive and shipped with care. Remember, Monarchs are territorial, so starting more than one bed about 8 feet away from the other will allow larger groups of the butterflies to sustain themselves in your garden. The Butterfly Estates is a fascinating southwest Florida attraction where you can not only view hundreds of different species of butterflies, but also enjoy a delicious lunch or dinner. Have tea at lunchtime! 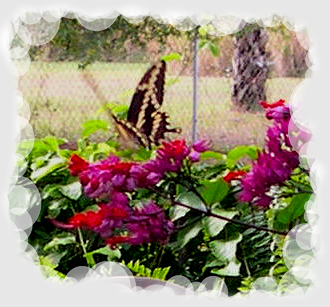 Located in the downtown river district of Fort Myers, you will find The Butterfly Estates a great place to visit. Beautiful conservatory, great place to get hitched too! PlaygroundEquipment.com is a wonderful website dedicated to helping children learn more about butterflies, their life cycle, and environment. The website offers excellent information for helping Adults and their Children start butterfly gardens, which plants to use, and how to attract these lovely winged jewels to your area. A great learning tool for teachers too. A special &apos;Thank You&apos; Ms. Lowe and her daughter, Dakota; for bringing this informational website to my attention. 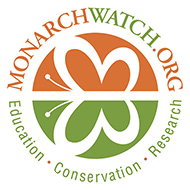 Monarch Watch is a website dedicated to the preservation and return of Monarch populations acroos North America. Monarchs are the only known butterfly to make a major migration, from Canada to Mexico. They need our help, as their foodsources and habitat is being wiped out. Please visit for more information on how you can help save these precious winged jewels of the sky. ButterflyWorld.com is a lovely place to visit. Located in Pompano beach, there is a large butterfly flight, and even a hummingbird aviary. A gift shop, guided tours, plants, a restaurant and many other features make this a Butterflier&apos;s dream! Make a day of it! A nice place to take the entire family too. Butterflies and Moths of North America is an excellent, educational website pertaining to identification of butterflies and moths of North America. Shady Oak Butterfly Farm a Florida farm&semi; has many species of butterfly larvae and butterfly plants for sale at different times of the year. Fabulous folks, and pesticide free plants. Note that plants are only available at certain times of the year, and restocking occurs when they are able to regrow the out of stock plants. They also have butterfly kits and other supplies for growing out the caterpillars. his entry was posted on February 7th, 2012 pm and is filed under Information.